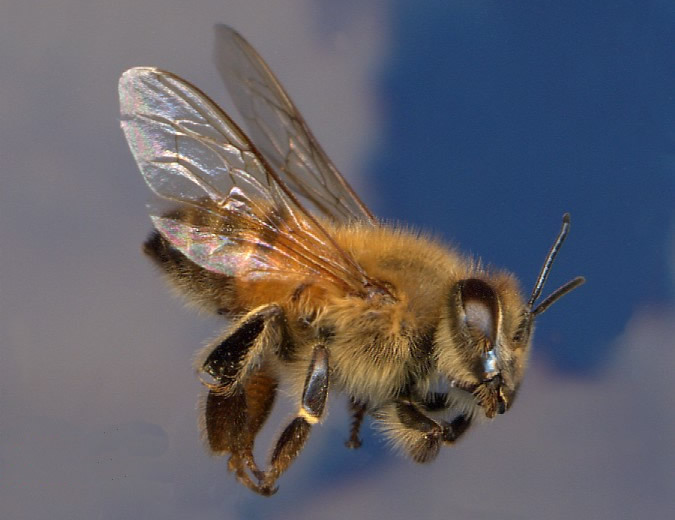 You should be made aware that the Honey Bee has been known by mankind since at least 6000 B.C. as evidenced by rock paintings in Spain found in 1924. Honey Bees have been used by mankind as a food source through domestication since at least 5000 B.C. In that ancient time they were regarded as tears of the Sun God Ra by the Ancient Egyptians and honey was believed to ward against evil spirits. Honey and bee's wax have also been used throughout the Stone Age in medicines and food through to the present day. Honey Bees all over the world are dying for reasons that Mankind can not fully explain. They are succumbing to what has been called Colony Collapse Disorder or CCD. Up to this point this fact has remained largely unknown to the general public and if it turns out to be that mankind's influence on the environment is a factor in CCD, we need to know what it is. There are many theories offered as an explanation to their disappearance including pesticides, genetically modified crops, cell phones, pollution, and radiation, among others. CCD is only exacerbating the already dire situation for Honey Bees. However, only by realizing the cause of their disappearance can we affect our actions, behaviour and attitudes towards an insect that, I would argue, beyond all other domesticated animals and plants has been THE MOST influential, and important to the development and advancement of Humanity across the globe. I invite all citizens of Canada and the World to join, what began in Saskatchewan Canada, a cause that will change the world. More people need to be made aware of this situation which affects us all to effect change before it is too late. With great respect I call upon each citizen to declare May 29, 2010 as the first annual Day of the Honey Bee. It will be this step, the first in many, which may prove to be our salvation. Thank you. Honey Bees feed the Earth. How can we return the favor?